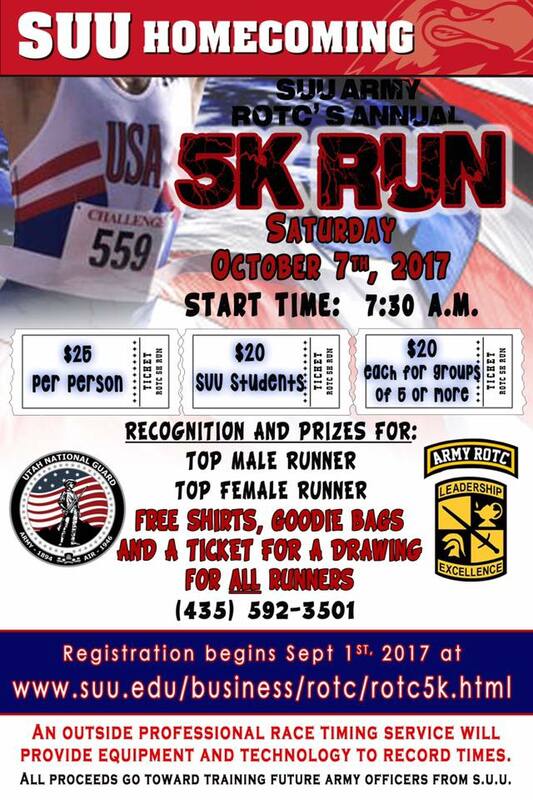 The SUU ROTC 5K Run will be Saturday, October 7, 2017 at 7:30 am. 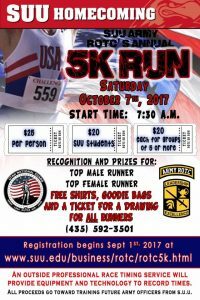 There will be recognition and prizes for the top male and female runners. There will be free shirts, goodie bags and a ticket for a drawing for all runners.